WWD 2018: WCK Nakuru, Kenya. Home → Uncategorized → WWD 2018: WCK Nakuru, Kenya. WCK Nakuru today joined other organization in celebrating the WORLD WETLAND DAY under the banner WETLANDS FOR SUSTAINABLE URBAN FUTURE; HEALTHY WETLANDS CLEAN TOWNS at Lake Olbolosat ‘aplace of sacrifice in maa language’ in Nyandarua. The day was marked in the honorable presence of the Hon Najib Balala Tourism and wildlife Cabinet secretary as the Chief guest, Hon Cecily Kariuki, the Cabinet Secretay of Health, Prof Judy Wakhungu, the ou going Secretary of Environment and Naturals Resources, The secretary for wildlife Dr,. Margaret Mwakima, Proff Swazuri, the Chairman of National Land Commision. The honourable governors of Laikipia, Nyandarua and the host county of Nyandarua were also present. This auspicious occasion also marked the official announcement to the gazzettement of Lake Olbolosat as conservation vide a gazette notice that was signed on 24/1/18. 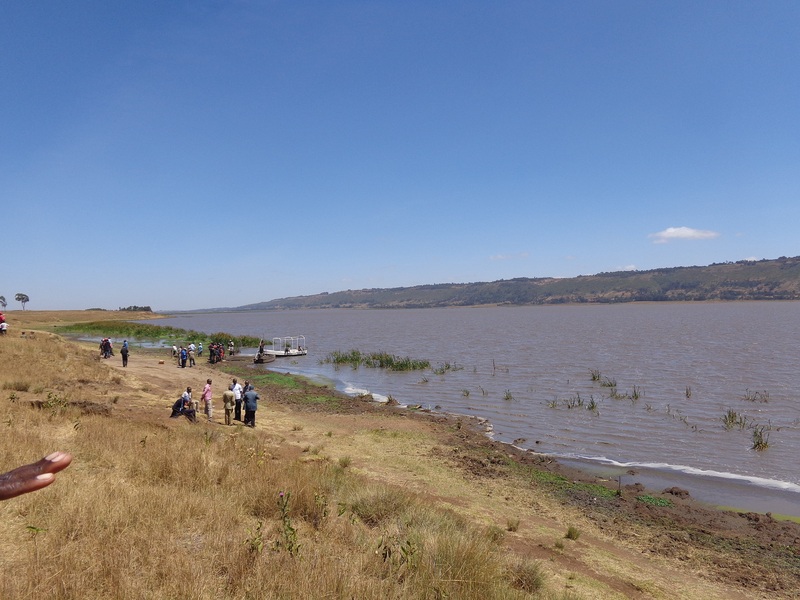 Lake olbolosat is situated in the catchment area of 4800KM2, The catchment area comprises of Aberdares escarpment, Satima escarpments, and Dundori hills. Lake olbosat is an important bird area, the lake is located on the bird fly path, it is also the home of endemic bird species in Sharpes lonfclaw, Aberdare Cisticola, Grey ground crane. It is this importance that necessitated the National government together with the county government of Nyandarua to gazette the lake as a conservation area. The day was preceded with an Art competition sponsored by WWF. Wckkenya members from Karandi sec school, Gatundo Pry school, Ol Joro orok Primary school, M Wonders academy, Lake Olbolosat Primary Shool, Makereka Primary School, Ol kalou Pry school participated in the competition, the winners were awarded with certificates and commemorative trophies.